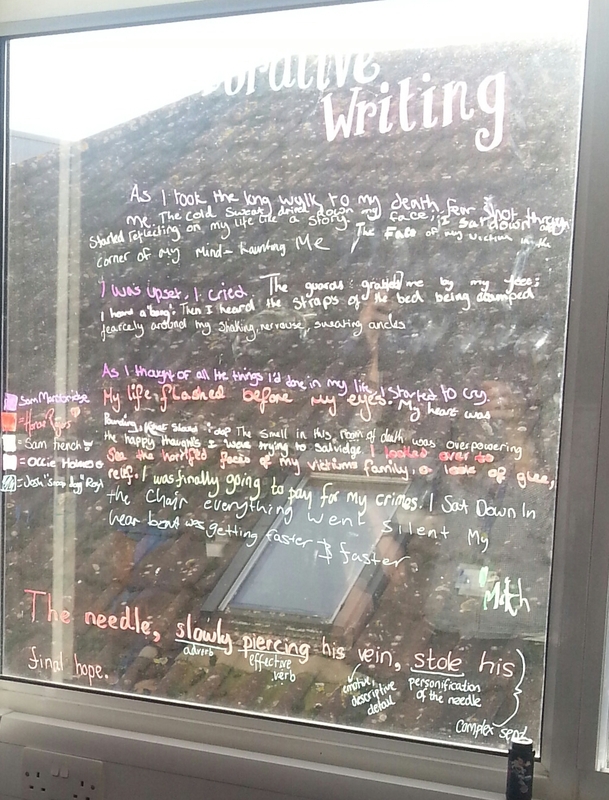 Students writing on windows- or any glass surface!! The pens are easy to wipe off and come in a variety of colours! 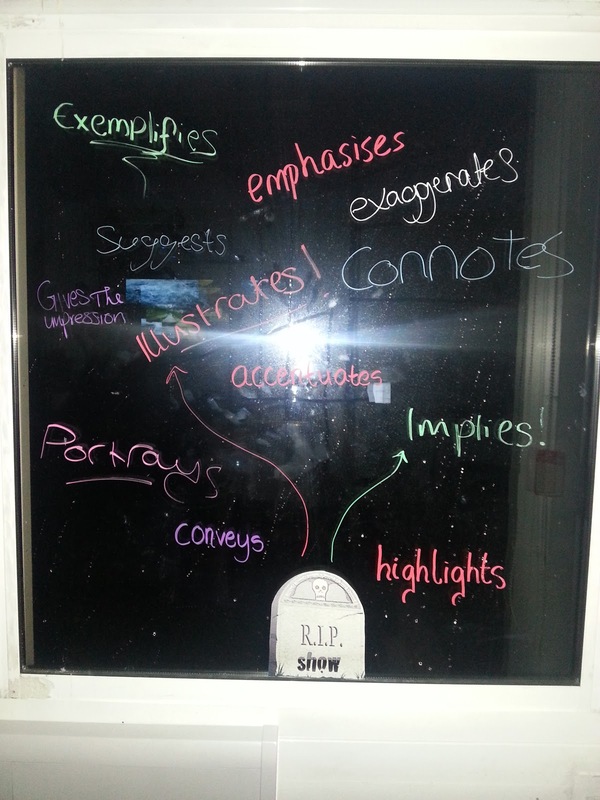 You can use your windows to add revision topics/key words/specialist language and so on… but why? We started with some collaborative writing. They were each fighting for a pen – this was a good sign. The result? 15 minutes later I had a page – well a window – full of writing. Enough to mark. Enough to improve. The cynic in me says this is just a gimmick, a silly idea to be different for different sake. How is it really different to writing on sugar paper or in their book or on a mini white board? Well – it isn’t when you look at it like that.